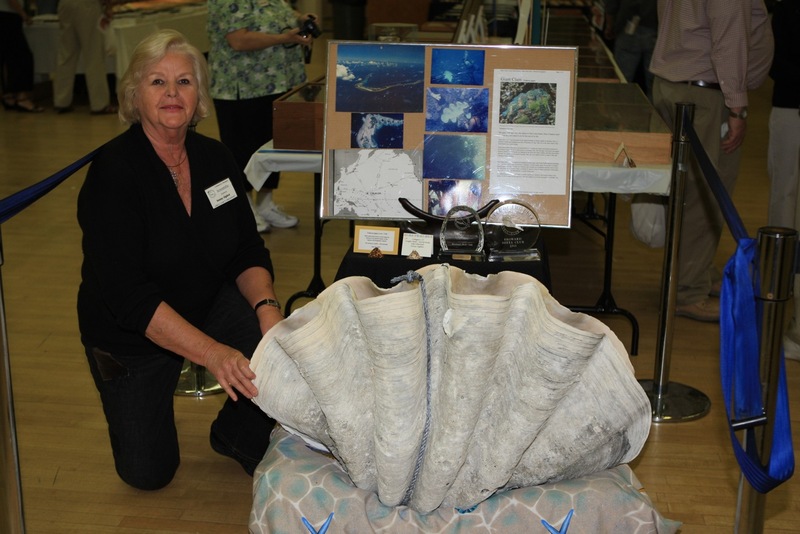 Hosted by the nonprofit Broward Shell Club, the Broward Shell Show offers an opportunity for shell-loving enthusiasts to enjoy an exciting weekend immersed in the wonderful world of shells. Thousands of beautiful and unusual shells from around the world will be on display and for sale. Weekend Attractions include: Competitive displays by dozens of collectors; Shell Artists showcasing their designs; International Shell Market featuring shells, shell craft, jewelry and educational shell books; a Shell ID Station where beginners or advanced shell collectors can bring their seashells for identification; Raffle items including a spectacular Sailor’s Valentine made by Brandy Llewelyn valued at $2,700, and Door Prizes. Take your picture with Sonny Ogden’s “Killer Clam”. 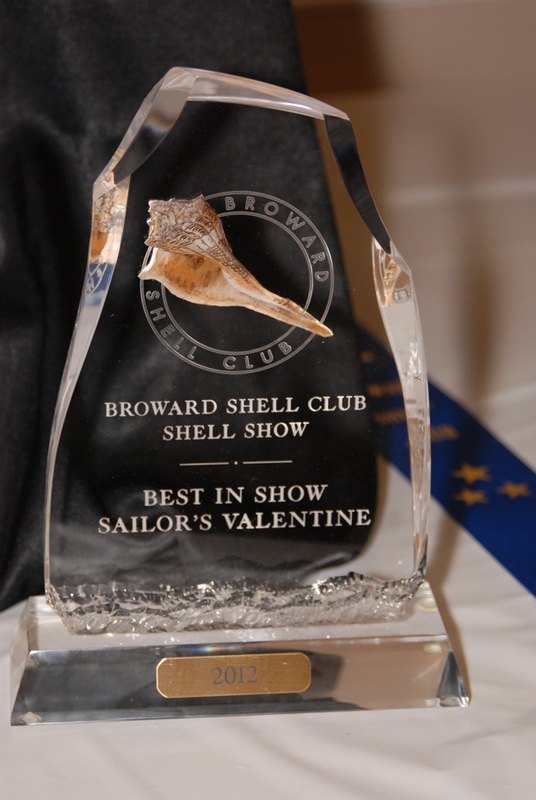 We invite you to attend the 2013 South Florida shelling event of the year! Emma Lou Olson Civic Center, 1801 NE 6 St, Pompano Beach, 33060. Hours: Saturday, 1/19/13 10am – 6pm, Sunday, 1/20/13 10am – 4pm Admission and parking are free. Richard Y. Kirk graduated with a Ph.D. in Slavic Linguistics at the University of Pennsylvania and worked for the Department of Veteran Affairs until his retirement in 2007. He has been active in both the Conchologists of America (COA) and the Academy of Natural Sciences / Philadelphia Shell Club, founding the annual Philadelphia Shell Show in 1983, as past club president, auctioneer, scientific judge and co-chairing the National COA Convention in Philadelphia. Richard was named “Fellow” at the Academy of Natural Sciences at Drexel University, 2011 and is currently co-authoring a new encyclopedia of shells with Dr. Gary Rosenberg, Paul Callomon and Sue Hobbs. Harry G. Lee was born and raised in Short Hills New Jersey, where he began the pursuit of conchology at age six. Settling in Jacksonville FL in 1974, he practiced Internal medicine until his retirement in 2006. Harry received his education at Williams College (biology honors) and medical training at Cornell University, Emory University, the National Institutes of Health, and the University of California San Francisco. 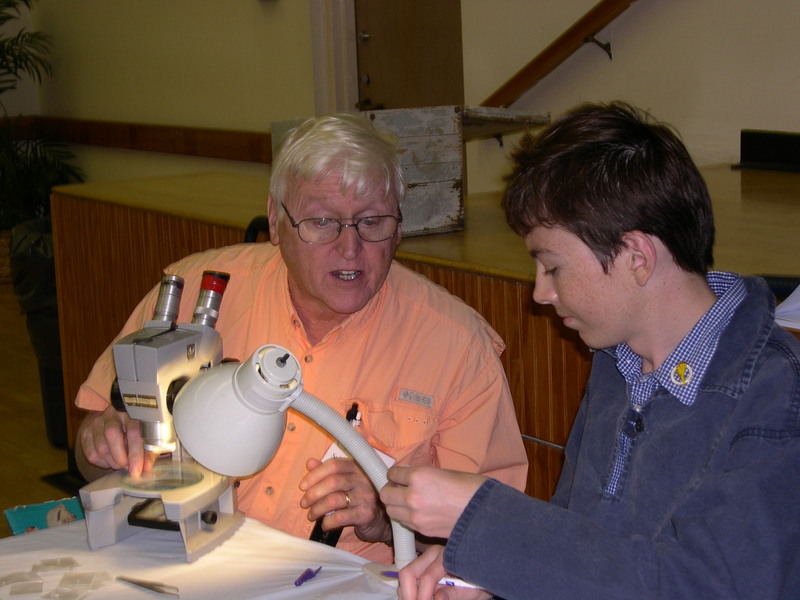 He is the author of Marine Shells of Northeast Florida (2009) and over a dozen scientific papers and serves as a Field Associate of the Florida Museum of Natural History and Vice President of The Conchologists of America. He is a Trustee of the Museum of Science and History (Jacksonville) and previously served in that capacity for the Paleontological Research Institution (Cornell University) and the Bailey-Matthews Shell Museum (Sanibel, FL). In addition, Harry is on the Editorial Board of The Nautilus and American Conchologist. Harry maintains a general collection of shells but is particularly interested in American mollusks (land, freshwater, and marine) and the micromollusks of the western Atlantic. He has written over 100 popular articles related to malacology and shell collecting and judged about 65 shell shows. The very first Sailor’s Valentine Sandy Moran viewed changed her life and her interest grew as she learned more about the history of these objects that spoke so elegantly of a lonely sailor’s love. A person with a fine eye for artistic quality, and a love for all things connected with the sea, Sandy was inspired to realize her own vision of a unique Sailor’s Valentine. Her valentines include patterns and flowers of various unusual seashells. Many of the shells were discovered in old shell collections. Having reached pre-eminence in her field, Sandy Moran has earned numerous first-place awards, beginning in the early nineties. Additionally, she was a featured artist on a PBS fundraiser show, featured in Martha Stewart magazine, Coastal Living magazine, La Vie Claire Magazine, Yankee Magazine, the Wall Street Journal, as well as in various Florida publications and national television. Additionally, Sandy is Artistic Chairperson of the famed Sanibel Shell Show and a trustee of the Bailey-Mathews Shell Museum on Sanibel Island. Her work is displayed in galleries on Cape Cod, Nantucket and in Sanibel. Emily Savage was born in Perth Amboy, N.J. and moved to Miami, Florida with her familyin 1944. She met her husband Herbert Savage in 1949 and they were married in Miami onOctober 21st, 1950. They have three children, Charlene Butler, Sharon Stewart and HerbertSavage, Jr. and six grandchildren. Emily was active in PTA Organizations during the years her children were in school, becoming a Life Member. She was also active in the General Federation of Woman’s Clubs and served as the State Junior Director of Florida from 1962-64 when Florida was the Outstanding State in the Nation. In 1963, she was chosen to represent Florida in the Mrs. America pageant. She moved to Marco Island in 1978 with her family where her love of shells and her interest in them grew. She joined the Marco Island Shell Club where she met several club members who were her mentors. She served as President and is an Honorary Member of the club. She has won numerous ribbons in various Florida Shell Shows over the years, was awarded the Peggy Bennett Memorial Award for the Best Commercial Artistic Creation, and she has received the Best Commercial Artistic Creation Award three times at the Marco Island Shell Show. Emily opened her shell shop, Shells by Emily, in 1985 and has been in the same location for the past 28 years. They carry a large inventory of local and imported shells, creating most of the items they sell using a various assortment of shapes and sizes of shells, providing a wide variety of shell creations including wedding favors, cake tops, bride bouquets, corsages, lamps, mirrors, containers, picture frames, and other specialty arrangements for any occasion. The friendships, camaraderie and creativity are the highlights of her day.